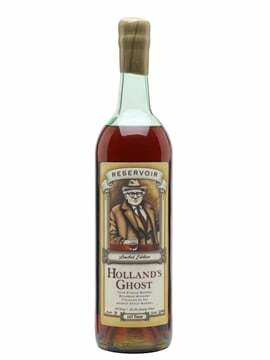 Home SPIRITS & LIQUEURS Champagne Five fantastic prize draws – enter today! Ever fancied winning a 15-litre bottle of Champagne? 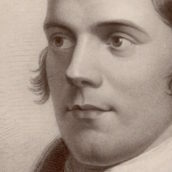 A 45-year-old Scotch whisky? How about eight bottles of bourbon with a combined value of more than £2,500? 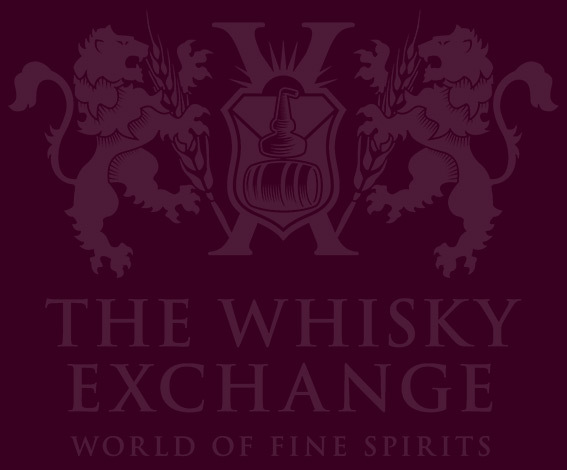 If you like the sound of that, then you’ll want to enter the latest batch of prize draws at The Whisky Exchange. We have a host of them running at the moment, so we thought we’d give you a quick rundown of what’s on offer and what you can win. 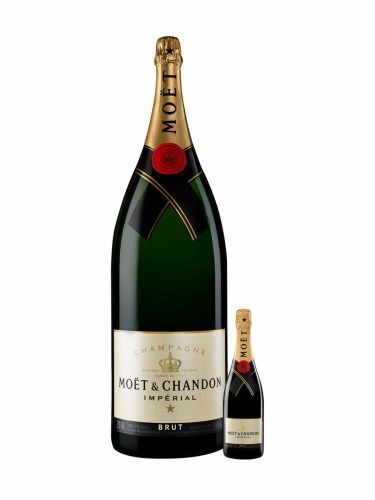 Yes, that’s right – we are giving away a 15-litre bottle of Moët & Chandon Brut Imperial Champagne to one lucky winner. 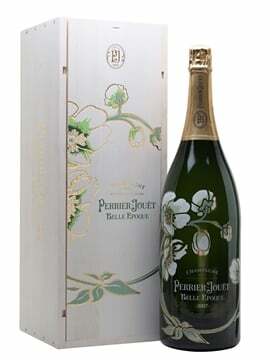 To enter, all you have to do is buy a 75cl bottle of Moët’s fresh, fruity Champagne and we’ll enter you into the draw. You can find more details here. Please be advised that the 15-litre bottle weighs more than 40kg, so you’ll need to find a friend to help you lift/pour it! This draw ends earlier than the others – Monday 6 June – so don’t delay. 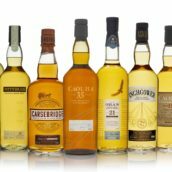 Port Askaig is the superb range of Islay whiskies from our sister company Speciality Drinks. 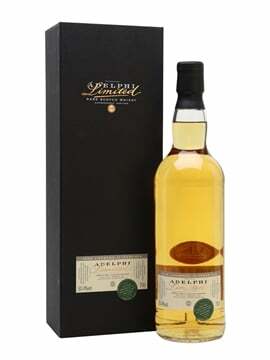 The 45 Year Old is a vatting of five sherry butts distilled on Islay in 1968 and aged for more than four decades – the result is a delicious combination of ripe fruit, coastal flavours and spicy chocolate. 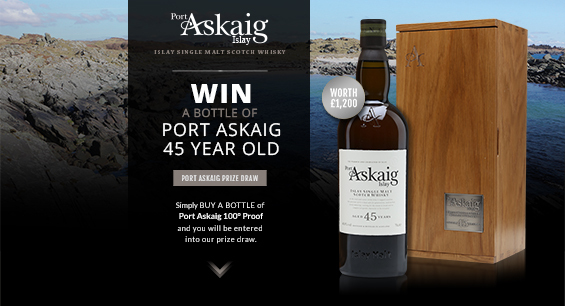 To be in with a chance of winning, you need to buy a bottle of Port Askaig 100° Proof, the newest addition to the Port Askaig range, and a great everyday Islay whisky. To find out more, click here. The draw ends on Friday 27 June. 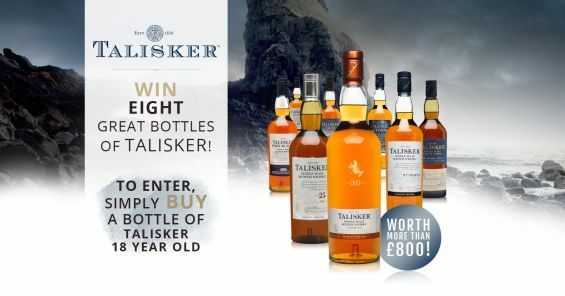 Talisker is the much-loved smoky, peppery whisky from the Isle of Skye, and we’re giving away a mammoth eight-bottle collection with all your favourite bottles, including the 25 and 30 Year Olds. 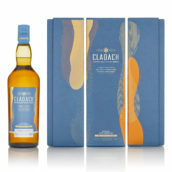 We’ve also included the ever-popular 10 Year Old and also the 2003 Distillers Edition, which is the current Whisky Exchange Whisky of the Year. If you buy a bottle of Talisker 18 Year Old, we’ll enter you into the draw, which ends on Friday 27 June. To find out more, click here. 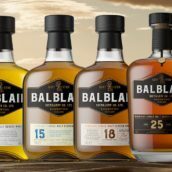 Located by the Dornoch Firth north of Inverness, Highland distillery Balblair has garnered a great reputation for top-notch single-vintage whiskies. We are offering one lucky person a bottle of the majestic 1969, which displays classic fruity Balblair notes of apples and honey, but with an extra layer of Christmas-cake spices and dried fruit. 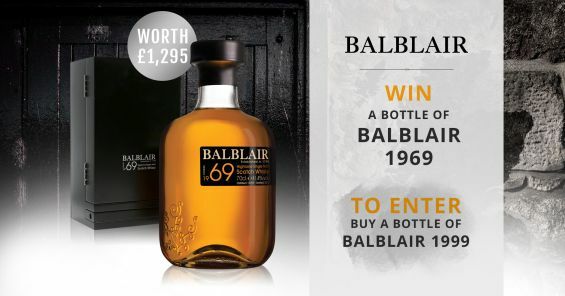 To enter, buy a bottle of Balblair’s excellent 1999 bottling, and we’ll add your name to the list. This draw also ends on Friday 27 June and you can find out more here. Parker’s Heritage Collection began as a tribute to Parker Beam and his five decades of hard work at Heaven Hill. 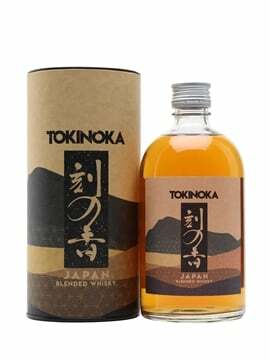 The first whiskey, launched in 2007, was an 11-year-old cask-strength Kentucky straight bourbon but the style changes each year, from Cognac-finished bourbon to wheat whiskey and even straight malt. 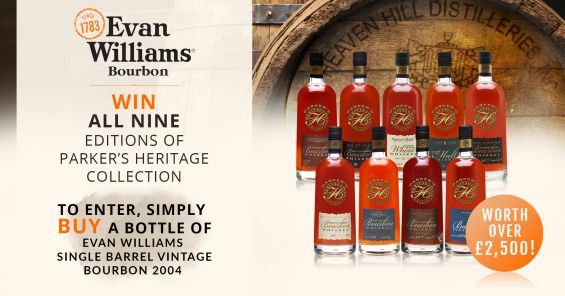 To be in with a chance of winning this fabulous nine-strong whiskey collection, simply buy a bottle of Evan Williams Single Barrel Vintage 2004, a sweet, fruit and spicy single-vintage bourbon. To find out more, click here. All of our draws end at 11.59pm BST on the specified date. And if you are lucky enough to be one of our winners, we’re always delighted if you send us a photo of you and your prize – you can get in touch with us via our Facebook page or via Twitter. Good luck!